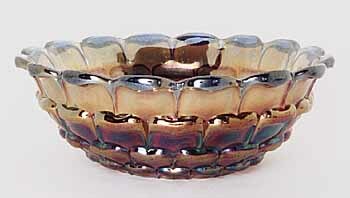 Found in vases and bowls in blue and marigold, Tokio was made by the Swedish manufacturer, Eda. 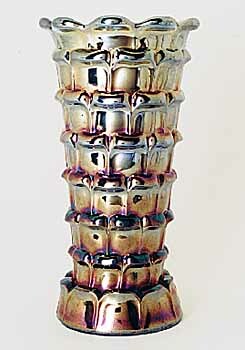 The blue vase, 7 1/2-inches tall, shown here sold in 2000 for $525; the blue bowl in 2000 for $275. In 2007, an 8-inch vase in marigold sold for $275, an 8-inch round pearlized bowl sold for $15 and a blue 9-inch round bowl brought $85. 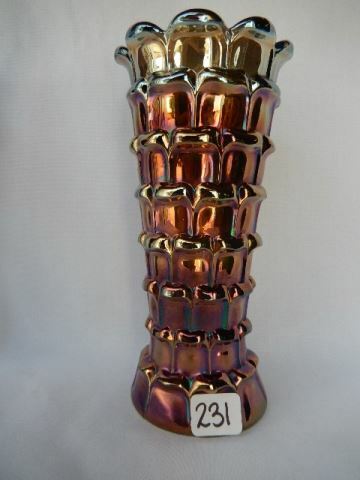 In 2008, a blue 7 1/4 inch vase sold for $100.